Ruth Shim, MD, MPH is an Associate Professor in the Department of Psychiatry and Behavioral Sciences at Morehouse School of Medicine, and is the Associate Director of Behavioral Health at the National Center for Primary Care, dedicated to promoting optimal health care for all, with a special focus on underserved communities. She is Co-Director of the Southeast Addiction Technology Transfer Center, a regional center established by the Substance Abuse and Mental Health Services Administration (SAMHSA) to improve the quality of addictions treatment and recovery services. Dr. Shim is board certified in psychiatry and is a Fellow of the American Psychiatric Association. 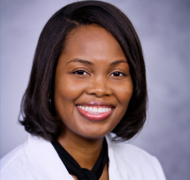 She currently serves as Treasurer of the Georgia Psychiatric Physicians Association, and is a member of the Preventive Psychiatry and Fellowship Committees of the Group for the Advancement of Psychiatry. She has ongoing collaborative relationships with the Carter Center Mental Health Program, the Satcher Health Leadership Institute at Morehouse School of Medicine, and the Center for Behavioral Health Policy Studies at the Rollins School of Public Health at Emory University. Her research interests include mental health stigma, integration of primary care and behavioral health care, and mental health disparities. She is co-editor of an upcoming book on the social determinants of mental health, to be published by American Psychiatric Publishing in late 2014.